I find it hard to speak negatively of Canada, a fine nation that gave the world both poutine and Rush. (Spare me your jibes; Rush is undeniably awesome.) America's northern neighbor has both wonderfully cosmopolitan cities and the better views of Niagara Falls. Aesthetically speaking, its stirring national anthem puts Francis Scott Key's ponderous, hard-to-sing flag ode to shame. There's a lot to like. And so I say this with utmost respect after a glorious morning of American snow-sports accomplishment: Eat it, Canada. For too long, the icy winds of Winter Olympics success have blown favorably in Canada's favor. There was Salt Lake City 2002, when the Canadian men's hockey team scored three straight goals to put down America's plucky NHL millionaires in the gold medal game, on American soil no less. Sidney Crosby – ugh, that guy – did the deed at the 2010 Vancouver Games, scoring the game-winner in overtime against the United States. Four years later in Sochi, Canada's Jamie Benn sent the Americans to the indignity of the bronze medal game with his lone goal in the semifinals. The women's side of the rink has been hardly different. 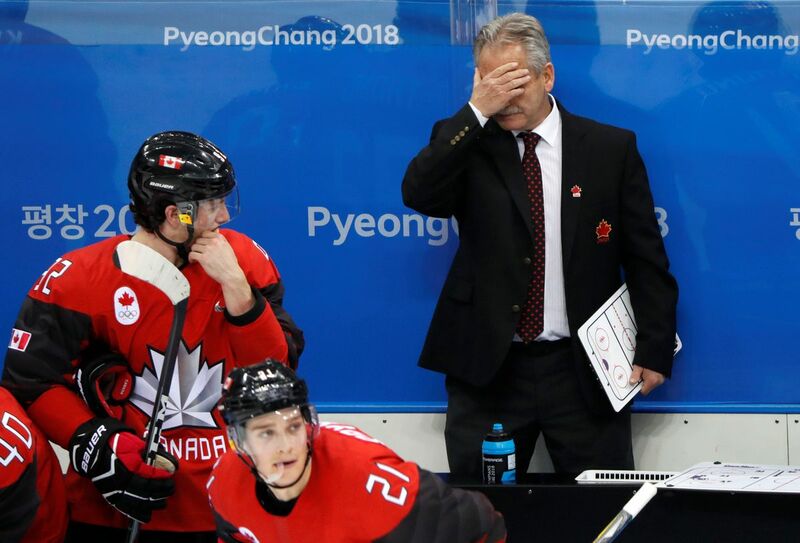 Canada entered these Pyeongchang Games with four straight gold medals, three of them at the expense of the United States in the tournament's deciding game. 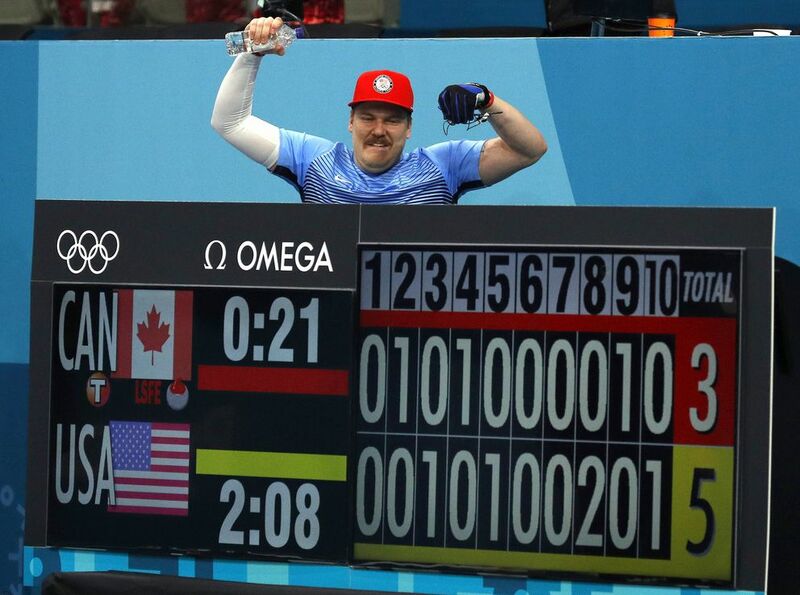 America's neighborly shame continued on the curling sheet, with the Canadian men picking up gold medals in three straight Olympics heading into this one, and the women winning two since the sport was reintroduced to the Games in 1998. All the United States could muster was a pitiful men's curling bronze in 2006. 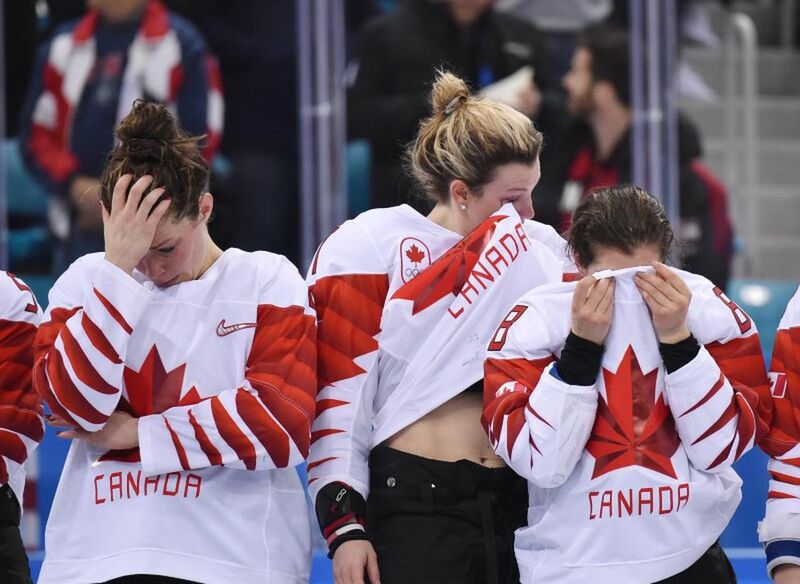 But while most of America was harboring its anti-Canada grudges only in its dreams overnight Thursday, a couple of things happened. Within about six hours, all those years of American heartbreak at the expense of our snow-advantaged northern neighbors were erased. The U.S. women's hockey team beat Canada in a shootout to win the gold medal, and the American men's curlers stunned Canada to advance to the gold medal game. How does it feel, Canada? Hurts, doesn't it? Maybe not Wayne-Gretzky-getting-traded-from-Edmonton-to-Los-Angeles pain, but perhaps Wayne-Gretzky-trying-to-make-hockey-a-thing-in-Phoenix pain. Wayne-Gretzky-as-Coyotes-coach pain. Wayne-Gretzky-in-a-Nickelback-video pain. Nickelback is from Canada. Don't think people have forgotten this, Canada. For one day, anyway, we forgive you. We know you are hurting and don't want to rub it in any more than we already have. To conclude: Canadian bacon is just ham. Stop trying to give it nationalistic airs, Canada. It's ham.